The Best General Contractors in Vancouver? 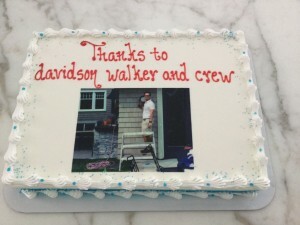 Davidson Walker Construction Ltd.
We are multiple Georgie Awards® winning renovators and custom home builders. Our commitment to excellence generates great loyalty and many referrals from our discerning clients, architects and design professionals. CHBA GOLD GEORGIE AWARD – Best Single Family Detached Home 2,500 to 3,499 Sq. Ft.
CITY OF VANCOUVER HERITAGE AWARD – Rehabilitation of Haigler House 3537 W.30th Ave.
“Davidson Walker performed a major renovation 20 years ago and several maintenance jobs since. Last year they did another significant job for us. They are very professional and generally meet or exceed expectations. We would always engage DW for any heavy maintenance or renovation we might consider. 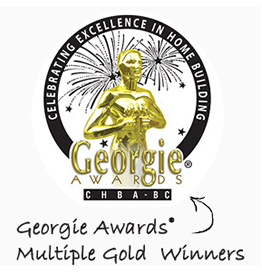 The Georgie Awards®, owned by the Canadian Home Builders’ Association of BC, is Canada’s premier residential construction awards program.